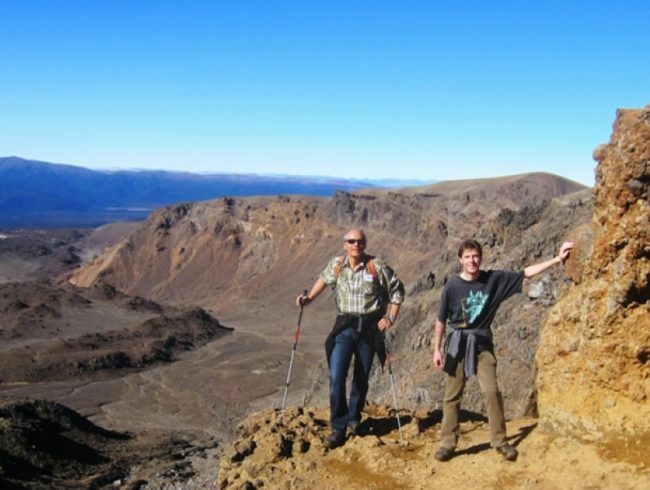 The Tongariro Alpine Crossing takes you over the length of Mt Tongariro (19.4 Kilometres) about 7-9 hours. You start from the Mangatepopo Valley (carved out from the last ice age) and walk over towards the Ketetahi road as this minimises the climbing involved, you will be glad you took this options when you come down from Red Crater. 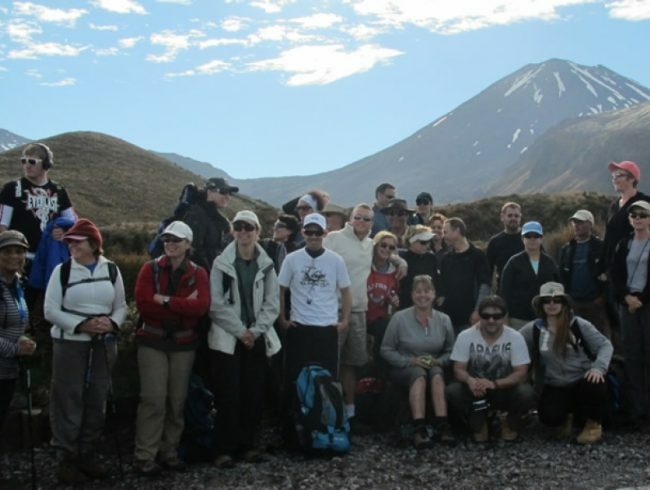 For more track information click here to Read more details on the Tongariro Alpine Crossing track. 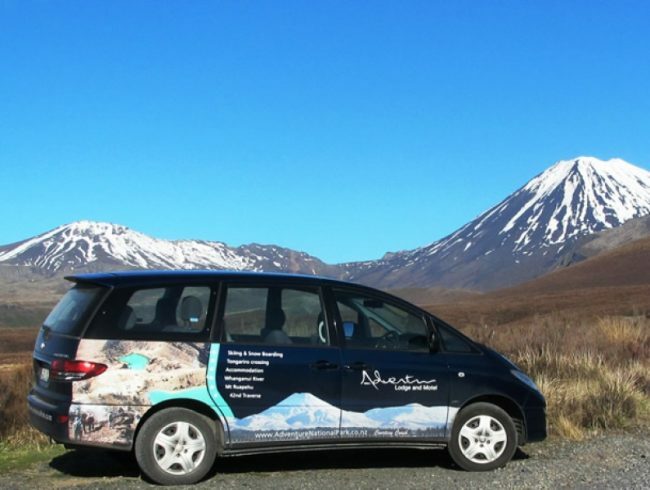 Return Shuttle from National Park Village to the Tongariro Alpine Crossing, Tongariro Northern Circuit. 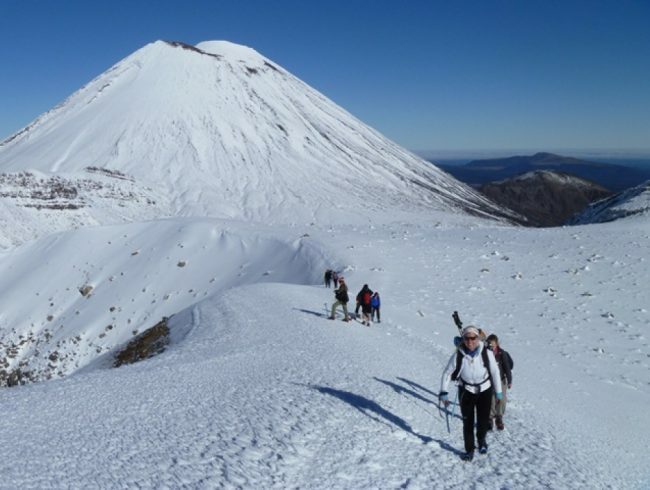 Let Adventure Lodge look after you with their world famous Tongariro Alpine Crossing Freedom Package - with over 10 years experience in bringing Tongariro value to you! Often copied - but never matched! 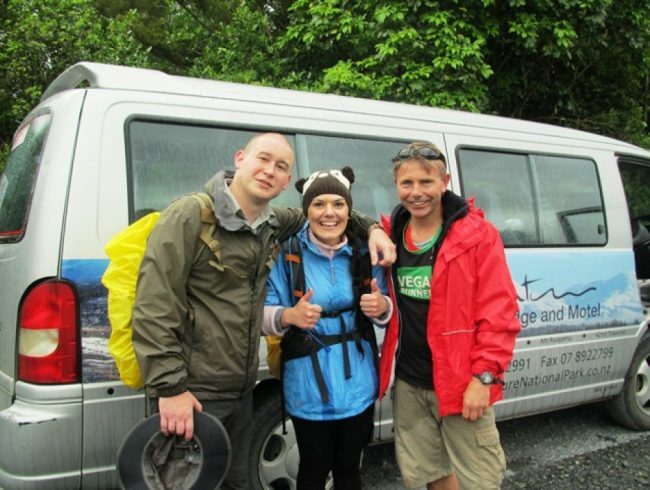 Adventure Lodge and Motel has a range of accommodation to suit you before and after doing the Tongariro Alpine Crossing, from Bed and Breakfast with your own facilities to a budget dorm room with shared bathrooms. You will be dropped at the beginning on the eastern side of the Tongariro National Park. 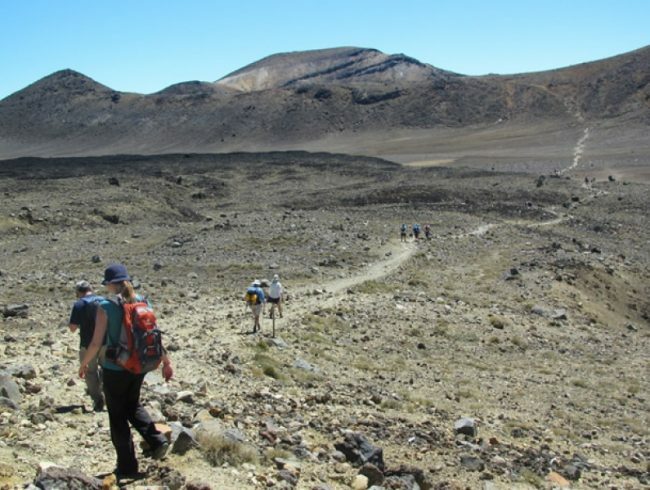 You start in desert sands and walk between Mt Ruapehu and Mt Ngauruhoe in the stunning volcanic landscapes. The track takes in the historic Waihohonu Hut, one of the original tourist centres in the Park. In 1920’s the “Grand Tour” took passengers by paddle steamer up the Whanganui River to Pipiriki and horse-drawn coaches eventually delivering tourist to Waihohonu and on to Tokaanu. From the Huts the track follows the Waihohonu Stream climbing to the Tama Saddle. The lower Tama is a 10 minute side track while the upper Tama is up a ridge and is one and half hours return to the Track. 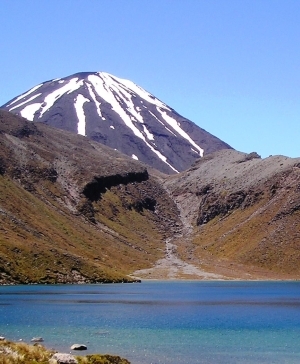 Whakapapa village is approximately two hours from the Tama Lakes junction. After about an hour the track meets the Taranaki falls loop walk. To view the falls follow the lower track and track then continues beside the Waiere stream through mountain beech forest. If you take the option of the upper Tama side track this is a 24km hike, longer but without the climbs on the Tongariro Alpine Crossing.